I received the Olay Regenerist Micro-Sculpting Serum and Cream. 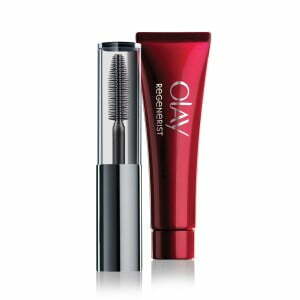 The Olay Regenerist Micro Sculpting Cream, 1.7 oz ($22.29 value on Amazon) and the Olay Regenerist Micro Sculpting Eye Creme and Lash Serum Duo .51 oz ($23.78 value on Amazon). I have used these items for a few weeks and then I got hurt and had to stop as I could hardly use my right arm/hand. I’m getting better now, almost 2 weeks later! The first thing that I noticed about the Micro Sculpting cream is it has very little fragrance which does go away quickly. That is always a plus for me. I also noticed how smoothly it goes on and feels nice on my skin. It isn’t gooey or sticky, and it is non-greasy. It is a refreshing cream. What I really like about this product is how tight it makes my skin feel. I have to admit that I really like the way my skin looks after applying this cream. I also really like the fact that a little of this product goes a long way, so you can stretch your product (and your dollars!). The Micro Sculpting eye creme has a very soft creamy texture and glides smoothly. It has no scent at all and is perfect for the sensitivity around eye skin. You do feel the hydrating effect immediately. The lash serum has a mascara wand applicator and it is a little bit sharp in design. All in all I did like this product as well. Olay Regenerist offers products that incorporate other anti-aging ingredients such as vitamin E, pro-vitamin B5, green tea extract, allantoin, and glycerin. I love that the Olay Regenerist Micro-Sculpting Serum and Cream can be purchased on Amazon and that you can stretch them to save money. I do recommend the Olay Regenerist Micro-Sculpting Serum and Cream and I will definitely continue to use them. 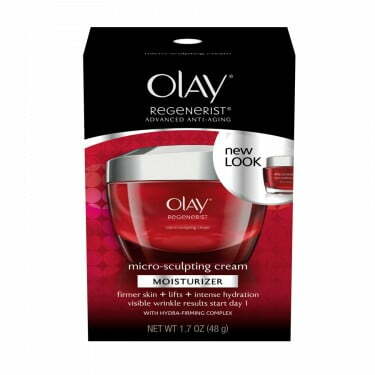 We received the Olay Regenerist Micro-Sculpting Serum and Cream (Approximately $46 value! ), and information from Olay. Olay does not represent or warrant the accuracy of any statements or product claims made here, nor does it endorse any opinions expressed within this blog site. We received no monetary compensation and we were NOT required to do a favorable review. Aside from information taken from the company, the opinions are our own. We only recommend products or services we will use personally and/or believe will be good for our readers. Our reviews and giveaways are in no way affiliated with Facebook, Twitter, Pinterest or Google+. We are in no way liable for any injuries that may result because of use or misuse of any product we recommend. Our opinion of this product is entirely our own. For more information please read our policies Here.